Peter Pan was initially created as author J.M. Barrie’s tribute to the five Llewelyn Davies boys, who Barrie had known from infancy and became his adopted sons after their parents’ death. The story we have all grown to know and love evolved out of Barrie’s dramatic play with the three middle boys, Peter, Michael, and John, and is a celebration of all things childhood. Peter Pan debuted on the stage in 1904. While the play was an immediate hit in London, Barrie could not stop editing and evolving the story even after it had opened (a rarity in the theater where shows are typically set by opening night). The process Barrie underwent to write Peter Pan mimicked how children adapt and change stories as they play. 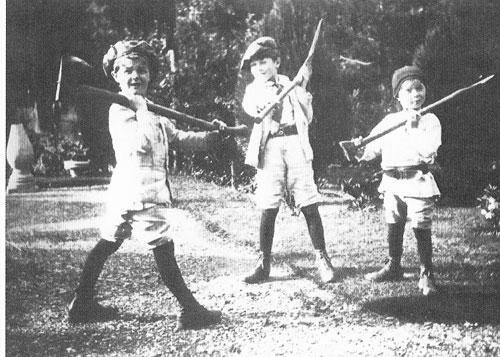 Three of the LLewelyn Davies boys playing castaways– the make believe game that inspired J.M. Barrie to write PETER PAN. 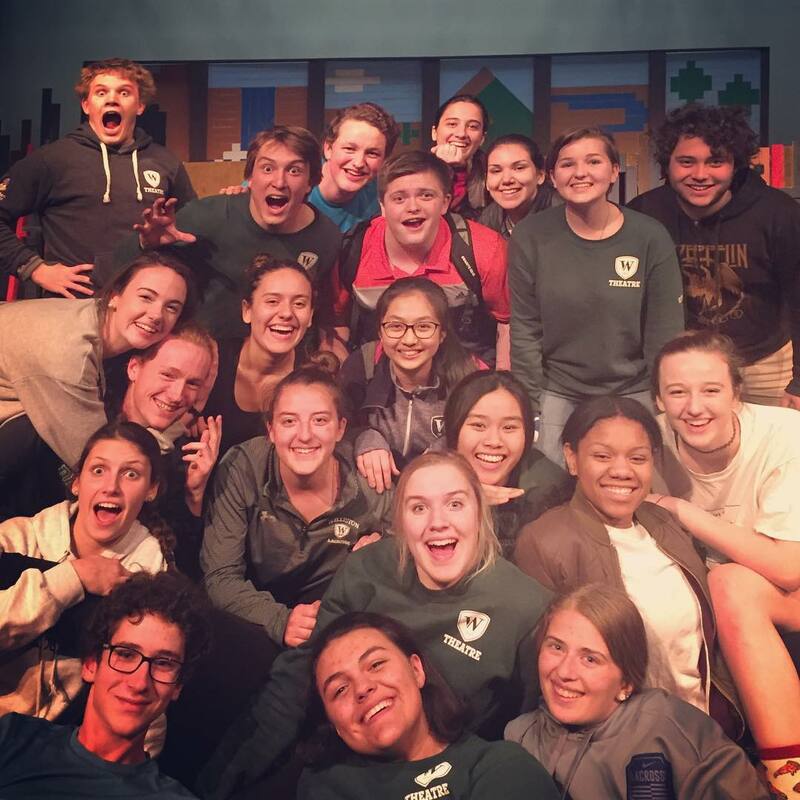 The playwrights of Peter and the Starcatcher unabashedly bring this celebration of childhood to life through their script. Nothing is literal—we see trunks change into seats and ropes into doors just as children transform household objects into whatever their dramatic play calls for. Actors in Starcatcher play multiple roles just as children declare, “Now I’m so and so!” Narrators pop out onstage to tell us what’s happening like children announce, “Let’s pretend [fill in the blank] happens!” Not only does this elevate child’s play to an art form (as Barrie intended in his original) but it also invites our audience to be part of the story. The fourth wall, which is at the heart of theatrical realism, is abandoned. The story erupts off the stage and into the audience. You get to use your imagination to fill in the gaps—the door made of rope takes on a unique form in the mind of each audience member. A connection is formed with the characters as actors speak directly to you. In this world, you are no longer a passive audience member but an active part of our theater-making. I recently read the following quote to our cast. It’s from Le Hung, artistic director of Hanoi’s Youth Theatre, speaking about Vietnamese Ceo, a theatrical genre that heavily employs the use of narration. It resonated with the entire company and we wanted to share it with you: “In the Russian tradition of Stanislavsky, the actor says ‘I will tell you a story about me.’ In the German tradition of Brecht, the actor says, ‘I will tell you a story about them.’ In the Vietnamese tradition, the actor says, ‘You and I will tell you the story about all of us.’” With Peter and the Starcatcher, this community storytelling allows us to tap into our child-minds and in the process, opens our hearts more fully to the message of the story, a message as timeless as Peter Pan himself: we all have a gift to give, sometimes it takes a little bit of a journey to discover where it lies. The (almost) entire cast who are having as much fun as the Llewelyn Davies boys did years ago!